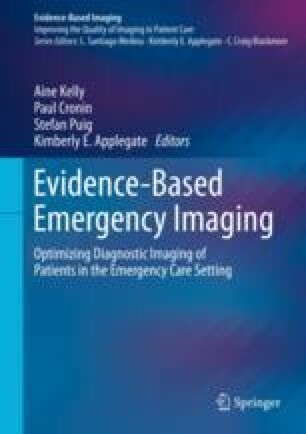 Information systems that support diagnostic imaging in emergency settings have the potential to improve efficiency, quality, and patient safety while moderating costs. The imaging value chain includes forming a diagnostic inquiry, performing a diagnostic procedure, establishing a diagnostic result, and completing communication and follow-up tasks. This cycle serves as a useful framework to assess existing information systems and emerging technologies.